Here at St Matthew’s we are blessed with an array of Uniformed Organisations for young people to attend. 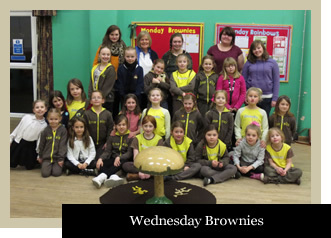 On Mondays we have Rainbows, Brownies and Guides, on Wednesdays we have Rainbows and Brownies and on Thursdays we have Beavers, Cubs and Scouts. All of these groups meet in the Parish Centre and are run by dedicated groups of volunteers. There is more information about each of these groups and their activities available using the menu to the right of this page. For contact details for the group leaders, please contact the Parish Office using the details on the Contact Us part of this website.